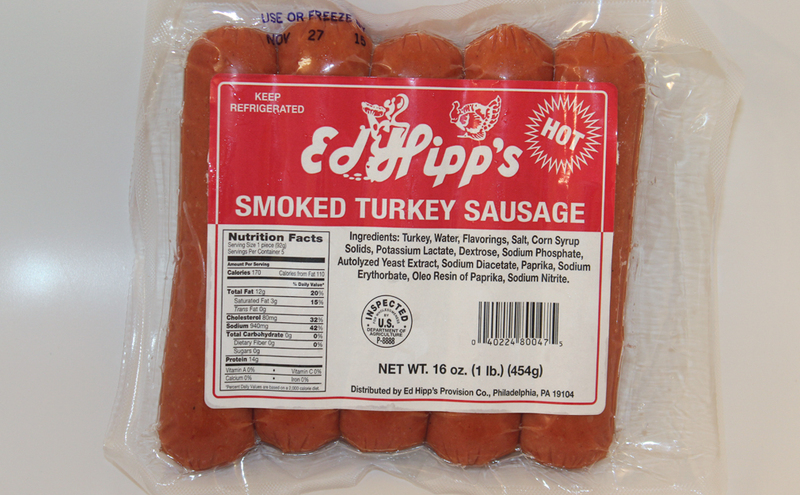 This 100% turkey sausage has a smoky, spicy taste that adds a bold note of flavor to any meal. You can grill it, bake it or fry it. For a quick snack, you can microwave it. 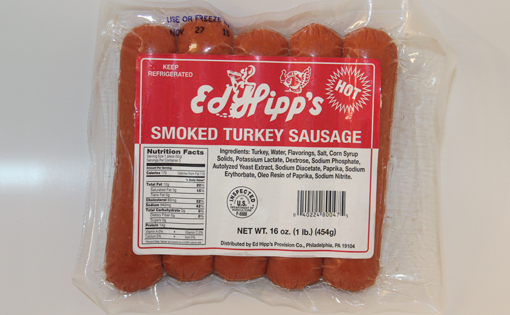 Our Hot Smoked Turkey Sausage makes a delicious sandwich on a steak roll, Kaiser roll or sausage roll. Product available in 3 lb. package.